US-based MeadWestvaco Corporation (MWV), a global leader in packaging and packaging solutions, has just published the results of its research with 7,665 consumers in UK, Germany, Turkey, Russia, South Africa, India, China, Japan, Brazil and the US. 36 percent of all respondents said they were more likely to switch brands if they were dissatisfied with the product’s packaging. “Packaging continues to play an important role in building brand loyalty and driving repeat purchase in-store and, increasingly, it’s also a vehicle that connects brands and consumers online. “Brands that recognize how packaging can influence online shoppers have an opportunity to see a ripple effect as those consumers share their positive experience with others via product reviews or through their social networks,” explains Steve Kazanjian vice president, Global Creative, MWV. 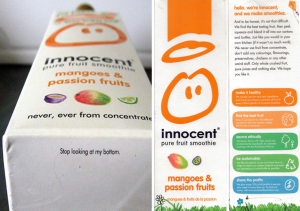 Despite the increasing importance of packaging in retail environments, the research found that just 11 percent of global consumers were completely satisfied with packaging today, indicating a massive marketing opportunity for FMCG brands that can reach these consumers and influence purchase behaviour through better packaging in terms of ease of use, storage, ‘shelf appeal’ and ultimately environment-friendly disposal. Researchers applied six criteria in order to measure overall product satisfaction: quality, price, amount, brand, variety and packaging. Indian consumers (71 percent) put packaging on a par with the brand when it comes to overall product satisfaction, with 50 percent of respondents saying they were influenced to switch brands because of the packaging. Such results in developing markets are impressive but the influence of packaging is also being felt in more developed and saturated markets too. In his final book, ‘Brand New- -The Shape of Brands to Come’ published just before his death last week, my friend and mentor Wally Olins CBE recognised the importance of packaging in the context of marketing excellence because the association of packaging with a brand’s authenticity is a strong one. 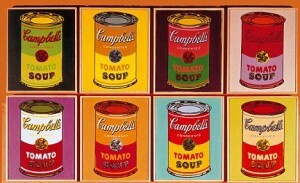 “Of course, authenticity has always been part of the mix that we consumers have wanted, but not like now. Something is changing and some of us just can’t get enough if it,” explains Wally. To make the point, Wally looks at Kellogg’s iconic Cornflakes cereal brand and compares it to the challenger Dorset Cereals brand. “The Kellogg’s packaging is a classic traditional example of FMCG branding – noisy, brash, full of exaggerated claims, repetitive, almost clownish, but quite charming and of course very familiar to us. Wally’s analysis of its rival brand Dorset Cereals makes the Kellogg’s Cornflakes brand look very old fashioned. 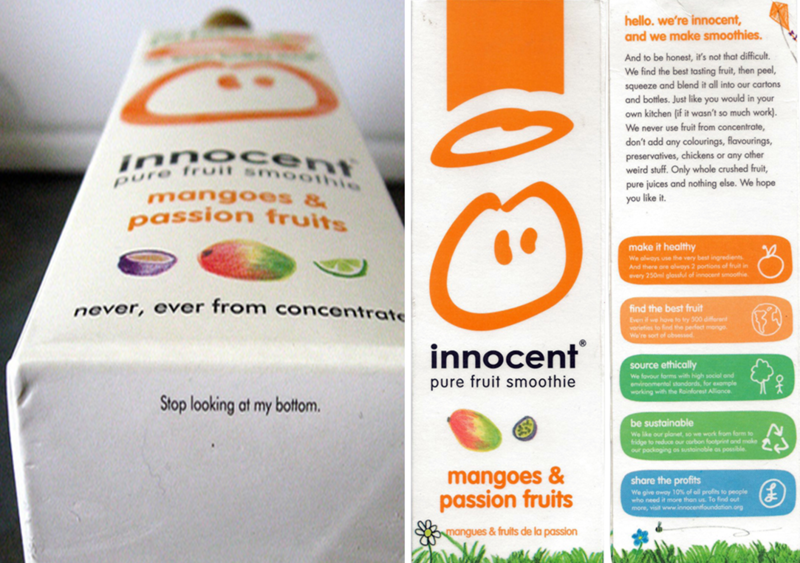 In the UK, another brand that ‘gets packaging’ and has taken it to new heights as part of its brand marketing activities is Innocent which has used personality and humour – often lacking in packaging – to connect with consumers at the supermarket shelf. Dorset Cereals and Innocent are examples of challenger brands that appeal to smaller, more discerning customer segments over a narrow range of products. And they don’t enjoy the level of FMCG market share compared with say Kellogg’s or Tropicana brands that are much bigger in their respective grocery segments. 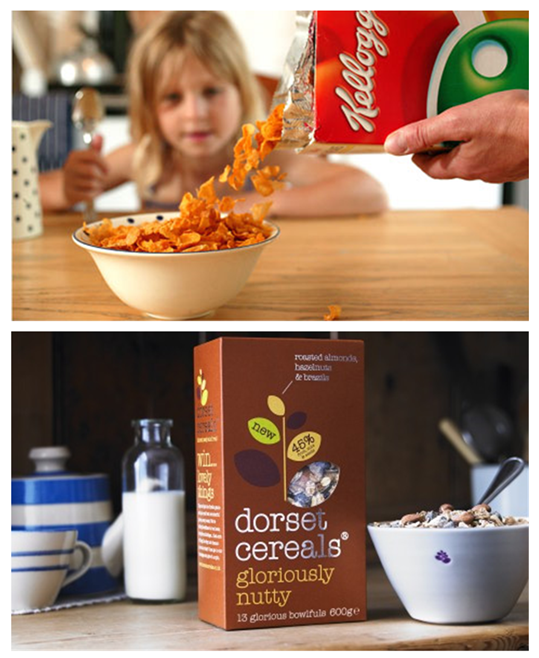 That said, Dorset Cereals, Innocent and other brands like them are growing market share and have started to lead the way in how packaging can be used to create a point of marketing differentiation. Many bigger brands have been slow to have noticed the importance of such a strategy but are quickly playing catch-up. 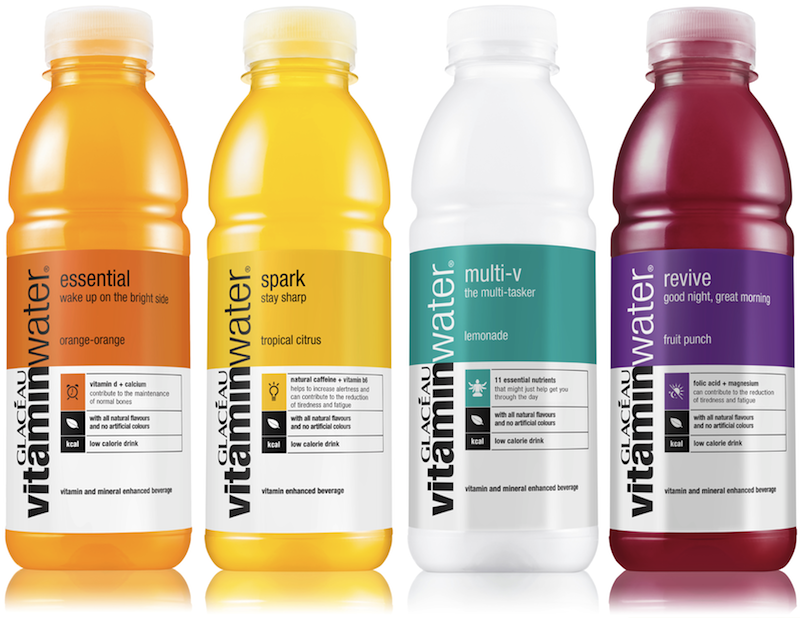 For example, Coca-Cola’s Glacéau Vitaminwater brand has imitated the wacky copy more associated with brands like Innocent (which Coca-Cola owns) – ‘a bunch of nice guys making a cool product’ and product variants of the brand now carry this tongue-in-cheek humour on its packaging and through its website. In summary, packaging has taken on a higher degree of significance as a marketing strategy than most marketers have given it credit for. And now there are a new generation of brands emerging with the old values projected in a way that 21st Century customers can understand and just might believe in.